What can you learn in an hour? - How to find the most effective parenting style - How to save your marriage from a creeping separateness - How to make time for your family - How to discover the magic of traditions - How to get your family through the tough times - enough to transform your relationships forever. 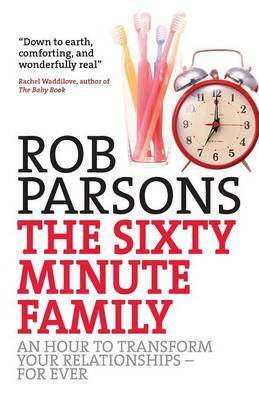 This latest book in Rob Parsons' best-selling Sixty-Minute series offers 10 life lessons for a strong family life, drawn from Rob's own experience and from his encounters with people around the world. Combining practical wisdom and accessible advice with a wide range of case studies - and an engaging style - the book addresses 10 key areas, including making time for each other, taking time to talk, encouragement, parenting styles, handling conflict, the magic of traditions, appreciating the extended family and seizing the moment. Rob Parsons is an international speaker on family issues and the author of many best-sellers including The Heart of Success and The 60-Minute Father. Over half a million people have attended his live seminars.